This is the second in a series that will review responses to Enbridge’s last-minute promises to improve its Line 3 pipeline project. The PUC adopted these with no pubic scrutiny. This blog looks at the responses from state agencies. The last blog will look at responses from Friends of the Headwaters. The Minnesota Public Utilities Commission (PUC) allowed Enbridge to change its proposal after the official record had closed. Specifically, the PUC accepted Enbridge’s deal sweeteners and voted to approve them without giving regulators or the public a chance to review and critique them. In today’s blog, we look at the many questions and concerns raised by state agencies involved with project oversight: the Minnesota Department of Commerce (DOC), the Minnesota Pollution Control Agency (MPCA), and the Minnesota Department of Natural Resources (DNR). These responses show just how little thought Commissioners gave Enbridge’s proposals before giving them the green light. Enbridge’s last-minute promises were: 1) a Landowner Choice Program (removing old pipeline or making a one-time payment to landowners); 2) a Parental Guaranty for any environmental damages caused by the new Line 3; 3) a “Neutral Footprint” Program; 4) a General Liability and Environmental Impairment Liability Insurance, and 5) a Decommissioning Trust Fund for the new Line 3. Will Enbridge Try an End Run? We’ll take these promises one at a time, but start with an overarching question central to all of Enbridge’s promises: Are they enforceable? This failure would undermine the Commission and the integrity of the Certificate of Need process. Further, if Enbridge does not comply with the conditions, public health and welfare, the environment, and the rights of Minnesotans would be in jeopardy. Enbridge has the power to stipulate to significant consequences of noncompliance in order to demonstrate its ongoing commitment to the State and its citizens. 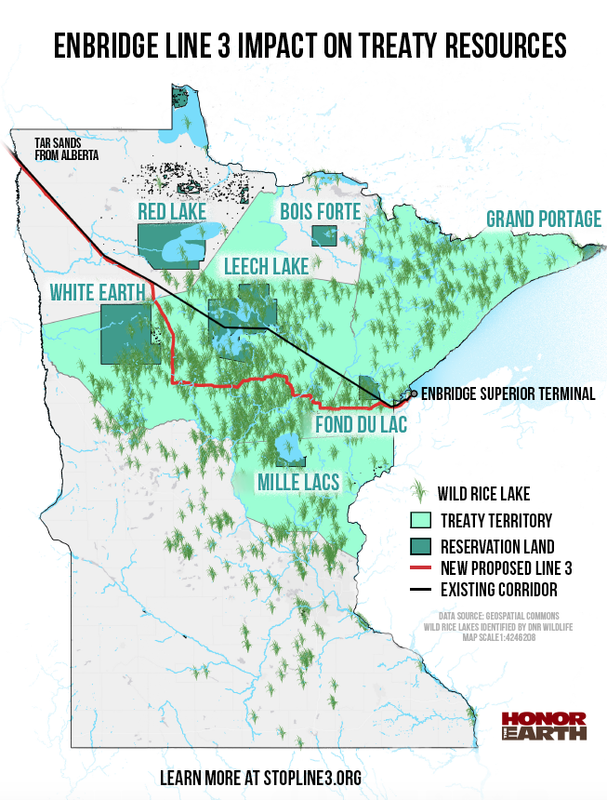 The Department recommends that the Commission require Enbridge to agree to specific consequences of noncompliance with conditions that clearly would allow the Commission to enforce, over the operational life of a new Line 3, the very conditions that are central to the Commission’s granting of the Certificate of Need. Comment: This is a very basic question: Will Enbridge agree to specific accountability measures, or will it try an end run of the PUC’s requirements once it has the permits it wants? 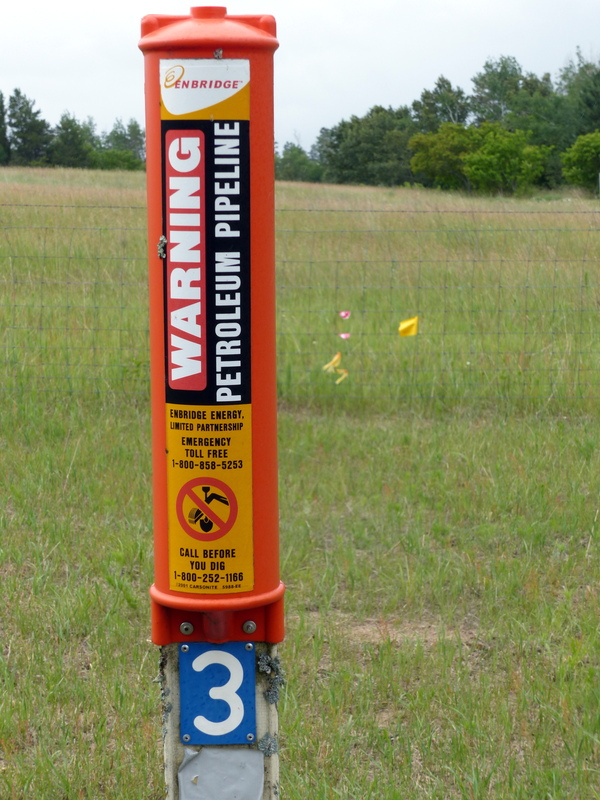 Enbridge wants to offer landowners along the current Line 3’s 282-mile corridor a one-time payment to allow Enbridge to leave the decaying pipeline in the ground for future generations to deal with. Enbridge’s proposed Landowner Choice Program would allow the company to offer landowners a one-time payment instead of removing the old pipeline. Enbridge’s proposal would impose a five-year timeline for property owners to make a decision, after which Enbridge would abandon the pipeline in the ground. The PUC needed to give more thought to Enbridge’s self interest in promoting this program. It’s less expensive for Enbridge to make one-time payment to landowners compared to the $1 billion-plus cost of removing the entire pipeline. To the extent Enbridge is successful in buying off property owners, it’s shifting pipeline clean up costs onto future generations. The MPCA, DNR and Commerce weigh in at length on the Landowner Choice Program. Since the Program proposes to permanently restrict landowner property rights, and these landowners are not currently parties to this proceeding, we recommend that the Commission require Enbridge to notify existing landowners and provide them the opportunity to have informed representation before the Commission makes a determination. The Commission should understand whether Enbridge representatives would answer questions that involve the legal rights or technical decisions of landowners. How will Enbridge representatives respond if landowners ask what they should do or if Enbridge has a recommendation? For purposes of transparency and to hep inform Minnesota landowners, we recommend that the Commission ask Enbridge to file information about the nature of compensation paid to Canadian property owners. [G]iven the significance of the project and the long-term impact of a landowner’s decision on whether or not to have the pipe removed, the engineering professionals made available to landowners should be both independent from Enbridge and have an affirmative duty to represent the landowners’ best interests. access private attorneys at no cost to the landowners. Landowners should be able to receive advice about their legal rights and options. A mechanism should be established allowing landowners to retain private attorneys paid for through a fund financed by Enbridge. The Department recommends the Commission modify Enbridge’s “Landowner Choice Program” to include a provision or remedy if Enbridge fails to fulfill its commitments. Enbridge should agree to specific remedies and agree that the Commission has authority to determine whether the commitments have been fulfilled, and may order specific remedies in the event that Enbridge fails to perform. Comment: The list state agency questions and comments go on. They reflect the PUC’s hasty decision to approve this proposal without looking at critical details of jurisdiction, landowner rights, and accountability. These issues could have been debated publicly had Enbridge brought this proposal forward early in the process, as it should have been. The Parental Guaranty is supposed to be an enforceable commitment by Enbridge to pay for any environmental damage from the construction or operation of the new Line 3. But what happens if Enbridge goes bankrupt and Minnesota has a major Line 3 spill? Is Minnesota stuck with the cost? The parental guaranty does not include a provision for handling emergency situations when immediate action is necessary. The guaranty should ensure timely access to funds in such emergency situations. Comment: That seems like a big omission. Another sign that the PUC was not paying attention to the details. [Commerce recommends the PUC require Enbridge] to post an alternative form of security in the event its financial health deteriorates to a position that its guaranty no longer protects the State. Comment: This critique should raise a huge red flag for the PUC. It needs to go back to Square One. The PUC has approved a new pipeline corridor in northern Minnesota, which will require some clear cutting. This is the current Line 3 corridor near Bemidji. Enbridge’s Neutral Footprint program includes a promise to plant trees on public land to replace trees removed as part of constructing a new pipeline corridor. It’s supposed to be a one-for-one replacement. Enbridge is proposing a net zero replacement only for merchantable timber. This deviates from PUC’s directive because there is significant vegetation and tree loss beyond the merchantable timber category. The Enbridge approach also deviates from the PUC directive that calls for the company to carry out “a tree replacement program that plants a new tree on public land in Minnesota for each tree removed…”. Although DNR is not opposed to a replacement program on private lands, there should be the ability for replacement on both public and private lands. This proposal is to set up a Tree Fund for local projects which may preclude planting on public lands depending on the purpose of the third party conservation organization. Comment: This raises trust issues. What are people to think when Enbridge fails to follow the PUC’s directions? It appears that some portion of Enbridge’s existing General Liability policies are issued by affiliated insurance companies. Enbridge should strictly comply with [Commerce’s] recommendation that the policies be purchased from insurance companies with no controlling economic ownership ties to Enbridge. An earlier blog address the Department of Commerce’s critique of Enbridge’s Decommissioning Trust Fund: Enbridge Tries to Bamboozle the PUC, Minnesota’s Dept. of Commerce Pushes Back. Comment: These are examples of the critique offered by state agencies. Together with yesterday’s post: Pushing Back on the PUC, Part I: Ojibwe Bands Criticize Enbridge’s Rushed Pipeline Promises, it’s clear the PUC failed to give Enbridge’s proposals the time and scrutiny they deserved. The PUC’s final order is due out soon. We’ll see how much of the agencies’ critiques it takes to heart.